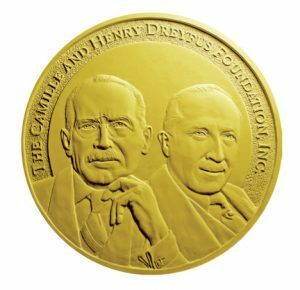 The Camille and Henry Dreyfus Foundation has selected Chemistry in Support of Human Health as the topic of the 2019 Dreyfus Prize in the Chemical Sciences. The Dreyfus Prize, awarded biennially, recognizes an individual for exceptional and original research in a selected area of chemistry that has advanced the field in a major way. The prize consists of a monetary award of $250,000, a medal, and a certificate. The deadline for nominations is February 28, 2019. Further details on the Prize and the nomination procedure are available on the Dreyfus website.